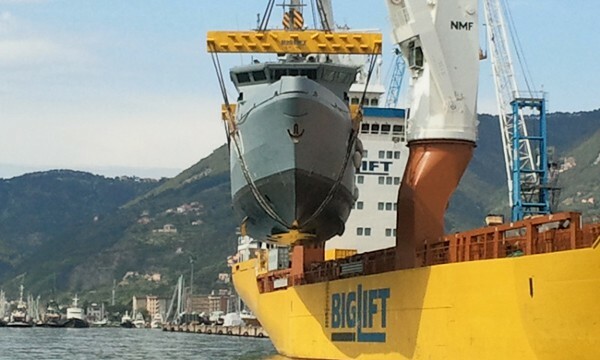 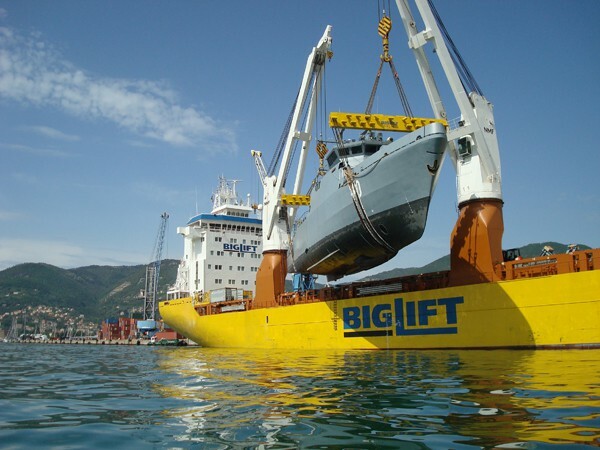 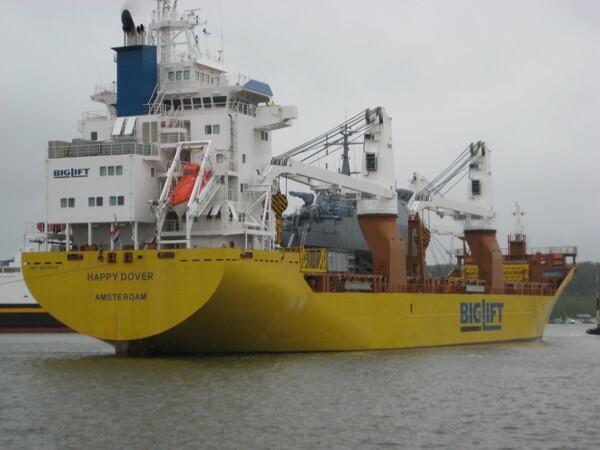 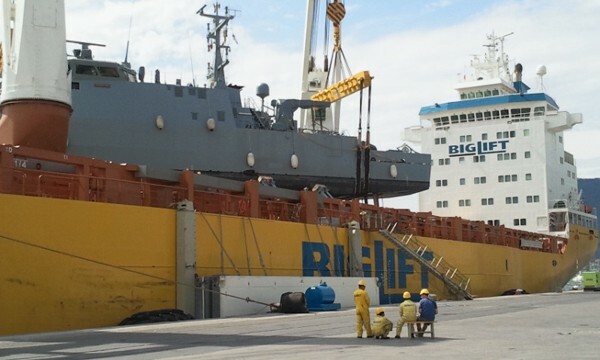 Where BigLift offers a wide range of services for moving heavy objects, floating or otherwise, sister company Sevenstar Yacht Transport maintains and develops a specialized worldwide network for transporting private yachts and other marine objects. 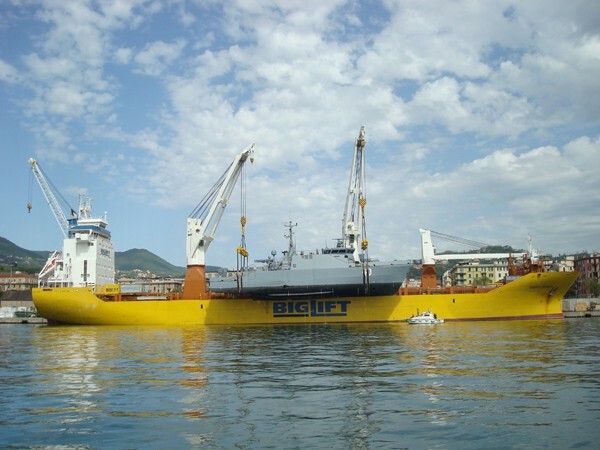 Sometimes both markets meet and BigLift and Sevenstar combine their extensive knowledge and a large supply of readily available cradles and sea-fastening equipment to take the floating shipments safely across the sea. 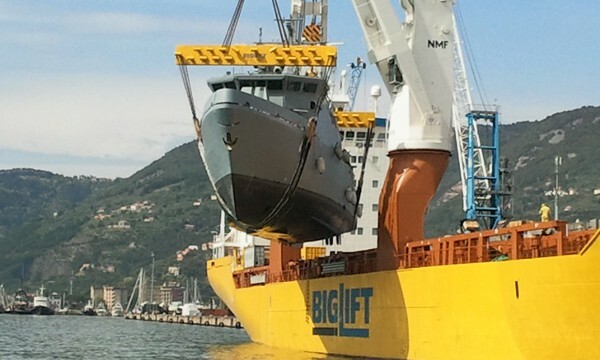 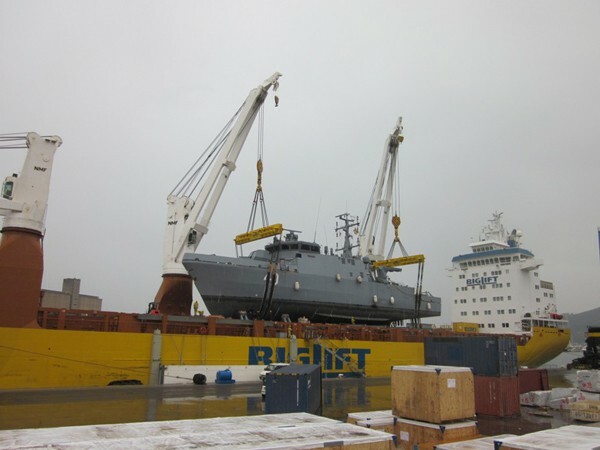 An eye-catching shipment was the shipment on the Happy Dover of a 52-metre and 640mt minesweeper Katanpää that was transported from Italy to the Baltic Sea. 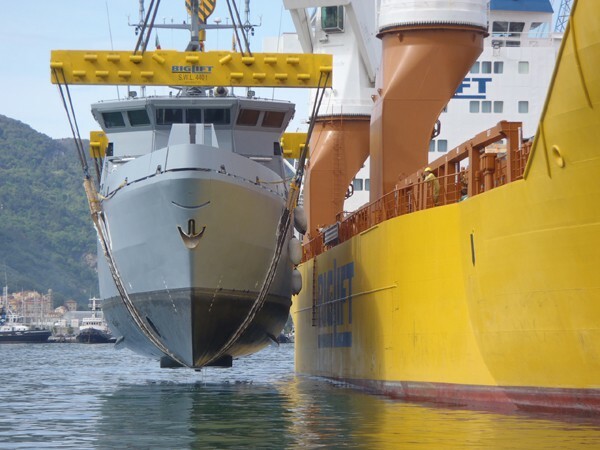 The minesweeper had been built by a shipyard that usually produces luxury yachts typically found in the likes of Monaco and Fort Lauderdale. 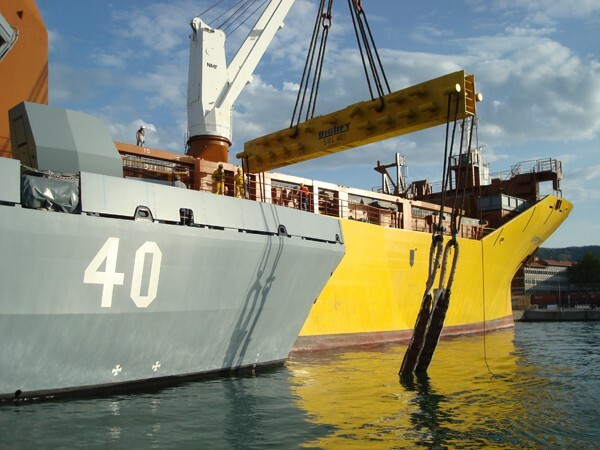 Besides the weight, the most challenging aspect was designing a sea-fastening plan and cradles that sufficiently supported the navy vessel, as it was only built from fibreglass.